A payroll system involves everything that has to do with the payment of employees and the filing of employment taxes. This includes keeping track of hours, calculating wages, withholding taxes and other deductions, printing and delivering checks and paying employment taxes to the government. Once inputs are received, you need to check for validity of the data concerning adherence to company policy, authorization/approval matrix, right formats, etc. You also need to ensure that no active employee is missed out and that no inactive employee records are included for salary payment. You can capture the details of the payment for each employee in the Employee card under the HR & Access Control in the Admin section. 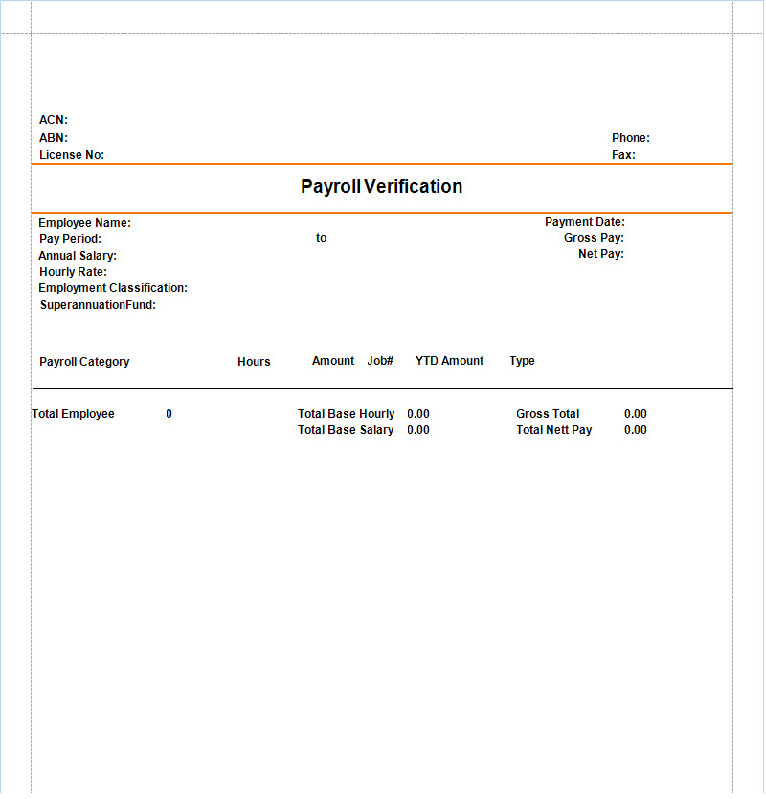 When you open each employee and click on the Payroll tab on the top, you will be able to capture the details for calculating the payroll for that employee. This section of payroll, you will have to fill the details regarding the following and select the wages that apply for the employee. Link the account for calculating the wages, for keeping the record and generating the report. A superannuation is an organizational pension program created by a company for the benefit of its employees. It is also referred to as a company pension plan. Funds deposited in a superannuation account will grow, typically without any tax implications, until retirement or withdrawal You can link the account and if you can’t find the account in the list, you can add them from the business management under Admin module. Entitlements is a way for you to track time off those employees is entitled to and can be individually edited in employee records, and are calculated when you process a pay check. You can capture the details for the employee in this section. A deduction is a set of amount that has been deducted from the gross salary and can be allocated to calculate when you process a pay check. The expenses that you are entitled for the employee is captures in here and you can customise the content and the amount under business management under Admin module. Taxes are usually calculated as a percentage of the salaries that employers pay their employee. You can define the taxes applicable for the particular employee. You can see a list of pay roll slips that has been generated for that employee. 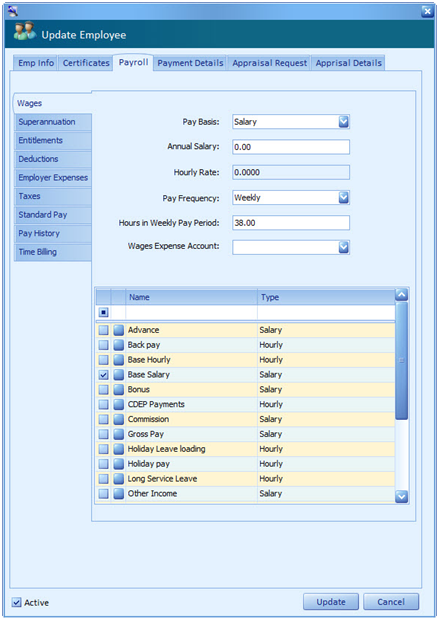 You can define the Employee Billing Rate and Cost per hour for the particular employee. In order for you to process the payroll for the employees, once you have defined the values for each or one of your employees. Go to Accounts and click on Process Pay roll on the top of the ribbon. 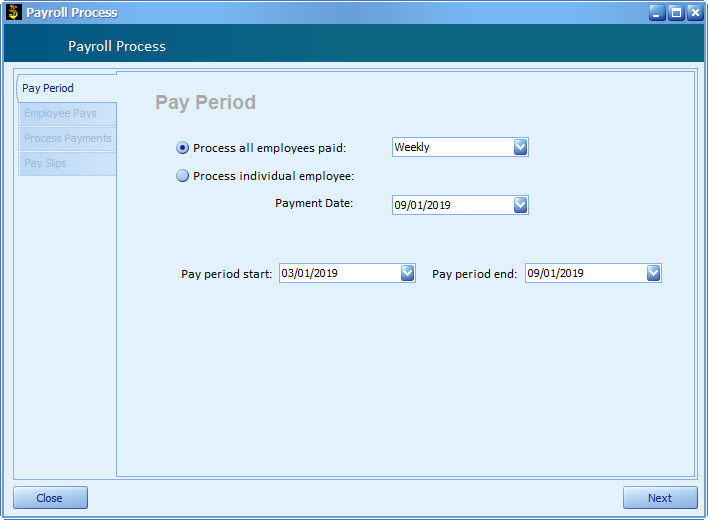 You can select the perios for which the payment is calculated and the pay date for each employee or for all employees. Once the pay slip has been generated, a report is generated and you can always generate the pay slip any time you go through the list.